Note: Earlier CompufreakS.blogspot.com is now SECURITYHUNK. 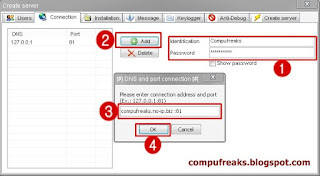 Spying on Remote PC can be done in many ways....but today we are going to see how it can be done using RATS(Remote Administration Tools).This tutorial is a general one which can be followed for installing server of all types of RATS.Only thing that you have to notice are the terms associated and data that are to be filled. This is a Black Hat Tutorial so I would suggest my readers to go through the DISCLAIMER before reading the tutorial. 1.First download the RAT,here i will use Spy Net 2.7Beta. Purposefully I have not given the download link,you can take the help of our best friend.... "Google"
2.Run it and click the "START BUTTON"select your suitable language as shown in the image below. 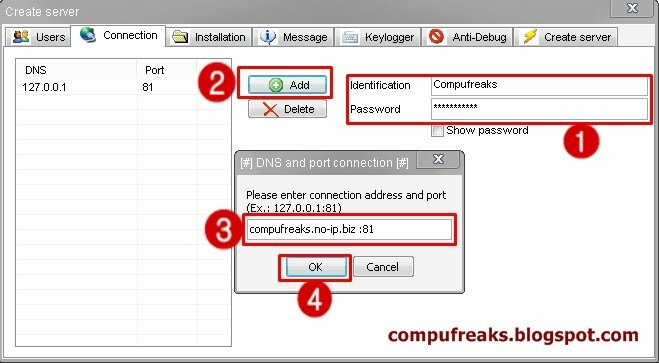 3.Then click on "CREATE SERVER " and give a suitable name to it as shown in the image below. 4.After step 3. a user with the desired name has been created,now select that and click on "FORWARD"as shown in the image below. 5.Now you will be guided to the server installation process,so fill in the details as shown in the image below...inorder to know how to fill read this. 6.After that hop up to the next tab and fill that excatly as show in the image below,i have chosen "svchost.exe" as these are found in multiple in MS boxes..... lol. 7.The next tab is the message...which means if you enable this then that message will pop-up when the server is run on the victim's computer,here I am not using it. 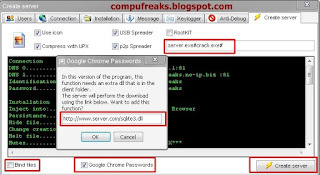 8.Then open up the keylogger tab and fillup as shown below but in step 2. fill as said described here. 9.Now hop up to "Create server" tab and fill as shown in the image below. 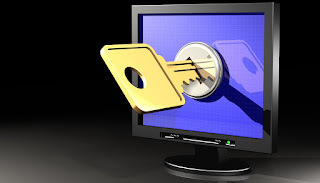 10.Now since the server is ready so make it FUD(Fully UnDetectable) by using crypter and you may bind it to some other file using a binder and scan it with novirusthanks.org(do not click on distribute option. )This part will be covered in detail my later post. 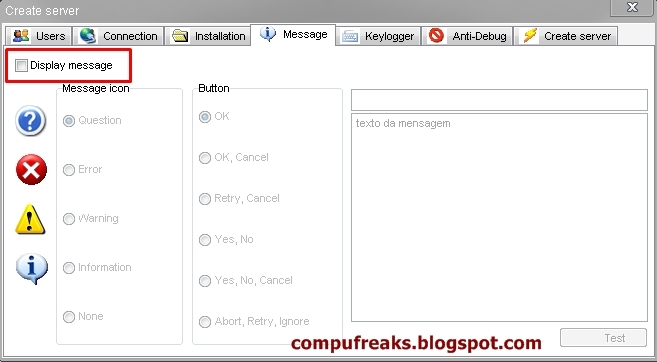 This is black hat tutorial is for Educational purpose,Compufreaks condemns black hat.(Disclaimer). Hello, This is my 1st visit to your site, the tutorial is very much clear but my total focus was on your site design, it's excellent, I really like the design.